Handmade from the finest celluloid material, the Mason Pearson Pocket Comb offers a luxury styling experience. Made in Switzerland in a facility solely dedicated to manufacturing combs, the tool is formed under strict, high quality standards to ensure premium results. 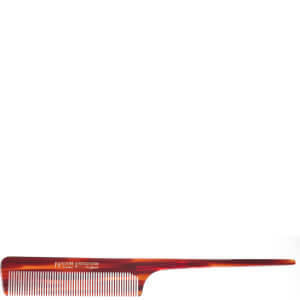 To achieve its unique 3D tortoiseshell pattern, the comb has undergone a patented process that replicates the natural shell of a tortoise. Its array of teeth are cut one at a time on a special saw, before being tumbled in a polishing drum and hand polished to remove sharp edges and surface imperfections. Finally, the comb is buffed to achieve a high gloss finish.